Thomas S.C. Farrell is Professor of Applied Linguistics at Brock University, Canada. His professional interests include Reflective Practice, and Language Teacher Education and Development. He is series editor for the Language Teacher Research series (Asia, Americas, Africa, Australia/New Zealand, Europe, and the Middle East) for TESOL, USA. His recent books are Succeeding with English Language Learners: A guide for beginning teachers (2006, Corwin Press, Sage); What successful literacy teachers do: 70 Research-Based Strategies for Teachers, Reading Coaches, and Instructional Planners (2007, co-authored with Neal Glasgow, Corwin Press, Sage Publications); and Reflective Language Teaching: From Research to Practice (2008, Continuum Press). Surviving The Induction Years of Language Teaching is unique to the language teaching profession because it outlines the detailed experiences of one ESL teacher during his first year and then during his third year to see what challenges he encountered during these important novice years. It is important for teacher educators, teachers and administrators to understand what novice teachers experience so that they can better be supported to become teachers for many more years to come. 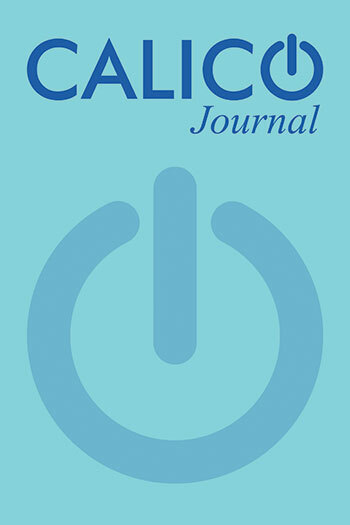 The results of this analysis will lead to the development of a comprehensive framework for the professional development of novice teachers through reflective practice that is grounded in the classroom realities of real teaching contexts so that they can develop beyond their novice years and become expert ESL teachers. In addition, the suggestions presented in this book can be operationalized as standards for future ESL/EFL teacher education and development programs worldwide. This introductory chapter makes the case for the importance of why the TESOL profession should provide detailed investigations of the induction years (1-3 years) of ESL teachers given the fact that language teacher educators do not know exactly what happens once they graduate from teacher education/certificate courses (e.g. see Farrell, 2016). Indeed, early research has suggested that within the TESOL profession 50% to 70% of TESOL novice teachers leave within the first 3 years (Phillips, 1989). This book not only details the socialization process a novice ESL teacher had to navigate during his first year, I also return to investigate the development experiences of this still novice teacher in his third year and also outline the challenges he faced in this third year. The chapter then outlines and describes the case study (in detail) of the novice English as a second language (ESL) teacher during his first year and also his third year of teaching in a university language school in Canada; how the data were collected and analyzed in both years. Many novice teachers (and indeed many teacher educators, administrators and students) assume that once they have graduated from their teacher education programs all they will have to do is apply what they have learned during their first year of teaching. From their very first day however, and unlike in many other professions, novice teachers are asked to carry out all of the same activities as their most experienced teacher colleagues and many are left in ‘shock’. Essentially during the first year of teaching, much of the ‘shock’ for novice TESOL teachers centers around their attempts to balance a difficult act between learning to teach (i.e. furthering their knowledge initiated during the teacher education program) while at the same time as developing their conceptions of ‘self-as-teacher’ or their identity as an ESL teacher within an established school culture. If they survive this first year they are not out of the woods yet and so in their third year many teachers still leave the profession because their lives become even more hectic as they try to keep their heads above water. Some teachers begin to feel like failures because they cannot cope and feel so dejected that they leave the profession at enormous cost to all involved. Thus it becomes clear that only the most determined can survive their first three years and without more support in the form of reflective practice (see chapter 2), we will continue to lose our best and brightest ESL teachers (which is the purpose of the book). This chapter outlines and discusses the concept of reflective practice and why it is important for novice teachers professional development and ultimate survival during their first years. After defining reflective practice, the chapter briefly outlines my recently developed framework for reflecting on practice because I used this framework as tool for the novice teacher to reflect in both years (Farrell, 2015). The framework has five stages or levels: philosophy: the teacher behind the practice or issues related to life history and teacher identity development; principles: Assumptions, values, beliefs about teaching and learning; theory: How we plan and theorize practice: Lesson planning; practice: What teachers actually do in class and beyond practice or the moral implications of what we do inside and outside the classroom. I used the framework deductive (starting with philosophy and moving to principles, then theory and into practice and beyond) because the teacher is a novice. This chapter outlines and discusses the topics related to philosophy that the novice ESL teacher reflected on during his first year. The main topic he reflected on for example was his teacher identity in terms of the origins, formation and how it has developed (or not) during his first year development. Reflecting on teacher role identity allows language educators a useful lens into the “who” of teaching and how teachers construct and reconstruct their views of their roles as language teachers and themselves in relation to their peers and their context. This chapter analyzes the novice teacher’s functional roles while performing his or his duties, what he felt about teaching and being a teacher, and how these were shaped by his evolving philosophy of teaching during his first year. This chapter outlines and discusses the topics related to principles that the novice ESL teacher reflected on during his first year. When teachers were encouraged to reflect on principles they become more aware of their assumptions, values and beliefs about teaching and learning, and as a result they became better able to make re-evaluations, modifications or complete changes to these. This chapter will outline the teacher’s reflections on these topics in detail especially the teacher’s beliefs. This chapter outlines and discusses the topics related to theory that the novice ESL teacher reflected on during his first year. When teachers reflect on theory they explore how they plan their lessons and what influence this planning. This chapter reports on the details related to lesson planning that the novice teacher reflected on during his first year such as his approaches and methods or the how, what, when, where and even why of methodology and curriculum, and who his learners are and includes how he set up class rules and procedures. This chapter outlines and discusses the topics related to classroom practice reflections and beyond in his first year of teaching. This chapter includes the novice teacher’s reflections of his actual classroom practice and how he evaluated this practice as well as the school context in which he teaches and the impact of this context on his practice during his first year. This concludes the novice teacher’s reflections of his first year as an ESL teacher. It includes an exploration of what he has realized about himself as a teacher such as his insights and includes self-reflexive questions about his practice. It also includes awareness professional growth over the year and his future professional goals including questions he has about his future as an ESL teacher. This chapter outlines and discusses the topics related to philosophy that the novice ESL teacher reflected on during his third year. The main topic he reflected on for example was his teacher identity in terms of the origins, formation and how it has developed (or not) during his third year development. This chapter analyzes the novice teacher’s functional roles while performing his or his duties, what he felt about teaching and being a teacher, and how these were shaped by his evolving philosophy of teaching during his third year. This chapter outlines and discusses the topics related to principles that the novice ESL teacher reflected on during his third year. When teachers were encouraged to reflect on principles they become more aware of their assumptions, values and beliefs about teaching and learning, and as a result they became better able to make re-evaluations, modifications or complete changes to these. This chapter will outline the teacher’s reflections on these topics in detail especially the teacher’s beliefs during his third year. This chapter outlines and discusses the topics related to theory that the novice ESL teacher reflected on during his third year. When teachers reflect on theory they explore how they plan their lessons and what influence this planning. This chapter reports on the details related to lesson planning that the novice teacher reflected on during his third year such as his approaches and methods or the how, what, when, where and even why of methodology and curriculum, and who his learners are and includes how he set up class rules and procedures. This chapter outlines and discusses the topics related to classroom practice reflections and beyond in his third year of teaching. This chapter includes the novice teacher’s reflections of his actual classroom practice and how he evaluated this practice as well as the school context in which he teaches and the impact of this context on his practice during his third year. This concludes the novice teacher’s reflections of his third year as an ESL teacher. It includes an exploration of what he has realized about himself as a teacher such as his insights and includes self-reflexive questions about his practice. It also includes awareness professional growth over the year and his future professional goals including questions he has about his future as an ESL teacher after his third year of reflections. This chapter reviews the key patterns that emerged from the analysis of the first and third year experiences of the novice teacher. 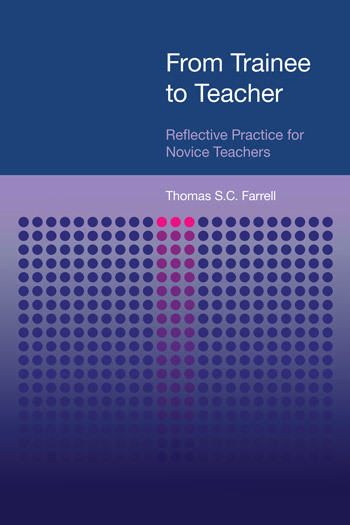 The chapter provides an overall appraisal of the impact of these experiences on the development of this teacher and outlines how language teachers can engage in reflective practice (using the framework that was used in the analysis of the teachers first and third year of teaching (philosophy, principles, theory, practice and beyond) as part of the overall career long professional development program.